Google Maps is getting an upgrade. The company said in a blog post that it has updated driving, navigation, transit and explore maps to better highlight information that the company thinks will be most relevant. That means gas stations when you’re driving or more prominently featured train and bus stations if you’re riding the rails or hopping on mass transit. For example, if someone wanted to find a restaurant or cafe in a new neighborhood, they could open the Google Map app and find the nearest orange icon (the color Google is using for food and drink spots). 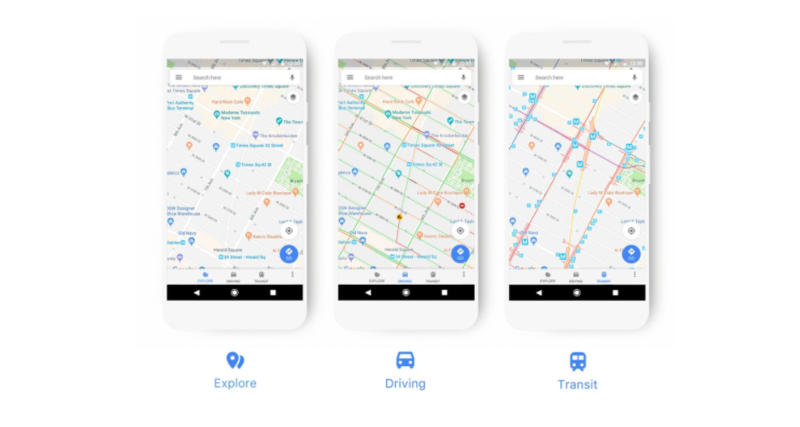 These changes to the Maps feature will also be rolled out to the other apps that incorporate Google Maps information, like Assistant, Search, Earth and Android Auto. The changes also will be incorporated into the apps, websites and products that other companies have built using Google Maps APIs, the company said.